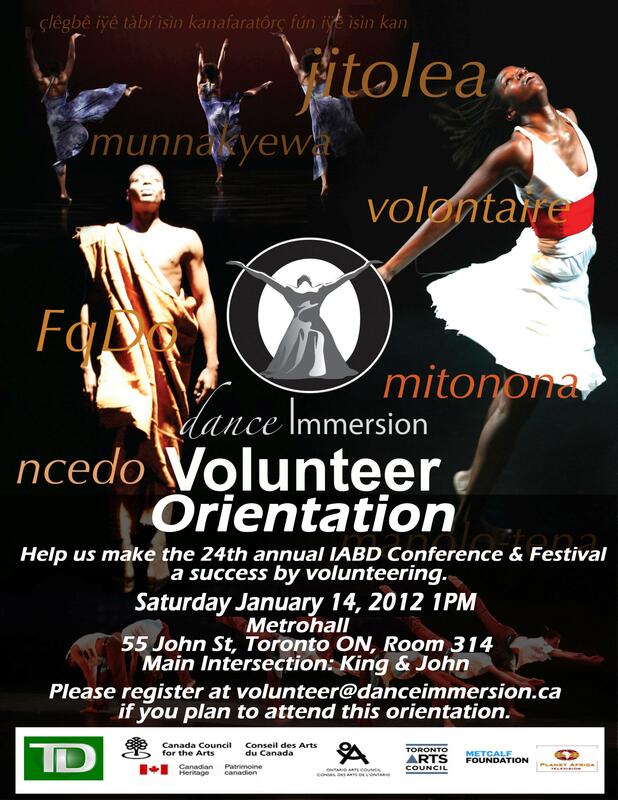 dance Immersion has an exciting opportunity for individuals looking for volunteer experience through practical, hands-on work at the 24th Annual IABD Conference & Festival. We are currently looking for reliable and dedicated individuals who are interested in gaining valuable hands-on experience, knowledge and insight into the arts community. Volunteer’s tasks include but not limited to; registration, ticket takers, ushers, production and guest liaisons. This entry was posted in Uncategorized by Neighbourhood Arts Network. Bookmark the permalink.